The capable and caring staff at Wanzenberg and Associates provide assessment and researched-based instruction in support of these unique needs. Our passion for executive functioning skills improvement arises from our experiences in a variety of educational and vocational settings. We often observe that these needs are often “accommodated away” without intervention and commonly marginalized as willful behavior by many school teams. We feel strongly that executive functioning deficits are often an important part of a hidden curriculum that many students need to be taught deliberately. 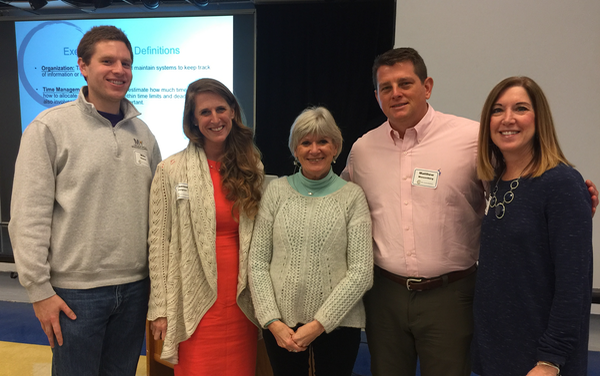 Dr. Wanzenberg has taught graduate level coursework to teachers and administrators in the planning and implementation of our executive functioning skills curricula. Our coaches are peak performing, certified educators with a high degree of knowledge and experience in case management of students with learning differences. We work tirelessly to develop student-centered plans that tailor the strengths and needs of the student to the competencies and personality of the specific coach. Typically, executive skills instruction is conducted 1-2 sessions a week at our office in Glen Ellyn. We have also made arrangements for service provision in a supervised home, study alcoves of your local public library, and other public spaces. 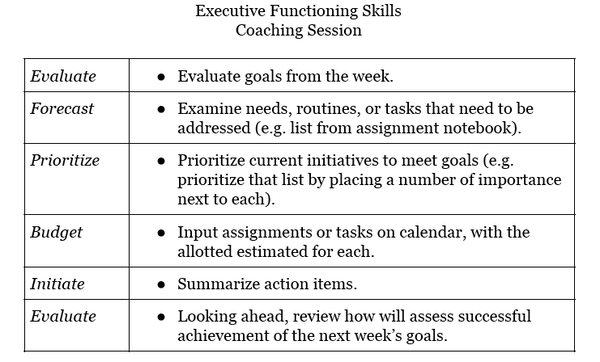 Each student’s executive functioning skills portfolio is developed with ample evaluative information, realistic timelines, and opportunities for ongoing support and feedback. We pride ourselves on a high degree of communication with the family. The student and family always contribute to a set of goals statements that drive the intervention plan. Most intervention intervals occur within a 6 month period, although in some cases, is supported on an ongoing basis as academic demands increase and change. While the model is designed to support the needs of a broad range of learners, our curriculums especially effective for students with Autism Spectrum Needs, Twice Exceptional Learners, and students with a variety of affective disorders. A detailed brochure regarding these unique services is available here. Please contact us for an overview of our services in this area and how we might be able to meet your child’s needs.